In a recent In5d article, Cameron Day shared with us why he is “no longer a lightworker”. His message was that there is a false light matrix that has control of the planet and it is up to us to recognize it and retract from it. How do we do this? We will discuss Cameron’s six powerful self healing techniques and some methods of releasing contracts made under duress or trickery in this article. Ascension can be defined simply as raising one’s frequency of thought and emotion. When limiting frequencies are removed from the psyche, higher frequencies of thought can flow through a person’s mind, and higher states of emotion flow through the body. The major thing that is hidden from us is the fact that we are all connected to our higher selves through a cord of light. Conscious strengthening of that cord can open the doors for access to experience and wisdom our oversoul holds from all of the past and future lives that is has had. Cameron created a free six step self help process that you can do now to empower yourself by strengthening that connection and clearing and reclaiming your energy. Simply click on each topic to be redirected to his website to view his instruction and short videos for each one. 1. Divine Aspect Meditation. The first step is a meditation that can be used to connect with your divine aspect, or your higher self. “Your Higher Self is your ultimate guide, and the most powerful form of energetic and psychic protection that you can access. Even if you are an experienced meditator, this first step of the Self-Clearing System will help you more fully embody and live from the power and love of your divine, higher dimensional aspect”. 3. 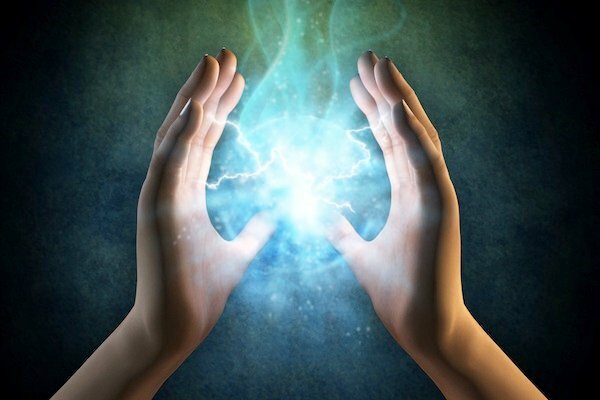 The Energy Refund, where you can “clear your energy field of harmful external projections”. The corrupt control system is made up the “Lords of Karma” which Cameron has renamed the “Tards of Karma”. This is quite appropriate for those who have created a false demiurge web of deceit and control. One thing that is used to manipulate us into the reincarnation hamster wheel is the life review. A normal life review would release layers of negative energies in a healing and loving manner. In a corrupt demiurge system, anything negative or unfair you did in the game of duality to another is used by twisting the ‘law of karma” into thinking you need to reincarnate in order to balance out those energies. In fact, because we are cut off from our true selves every time we incarnate, we end up repeating the same mistakes and get caught in a repeating cycle of hell. The trick is that they get you to use your own free will to make the decision to reincarnate and to take responsibility by taking on undue hardship and pain. Most of the time they inserted false past lives that never occurred in the life review. As we wake up to why we are here on the organic Earth and who we are as our sovereign higher self having a physical experience, we see how ridiculous the misuse of karma is. We can learn how to can call up all agreements and revoke them. After we revoke agreements, we have to continue to peel the layers back to address all facets by transmuting them through our heart center. Some of these agreements are rearing their ugly heads in our lives now. Although they may have been disguised as hardships and difficulty, we now have the ability to see them as opportunities presented to us and as we tackle them we are transmuting them from one or many lifetimes. Many people have become spiritually complacent or even spiritually lazy thanks to the New Age doctrines of “everything is all love and light” or “everything is as it should be”. Look around the planet and see if that is what is reflected in our reality. While imagining this is so in order to change our reality is a very powerful tool, pretending it is so without self action is detrimental to humanity moving forward. Many people are waiting for “The Event” to occur in order to get serious about doing their own inner work. This is also another deception, as nothing will occur until we make it happen. It will take a certain percentage of humanity to push things over the edge, and this will happen one person at a time. Mother Earth is helping us to raise our vibration in order to change our energy signature, and there is no better time than right here, right now to shift humanity into a higher consciousness. The only thing you have to lose by trying these methods suggested in this article is time. About the author: Michelle Walling is a Certified Holistic Life Coach. She has devoted her life to being a bearer and grounder of the light in service to others. As a truth seeker, she is committed to share her experiences with the world. She is also a hands-on healer, a distance healer, an empath, and an intuitive. Michelle is webmaster/author/editor on CosmicStarseeds.